A small proportion of parenting books resonate with me. This is one of my favourites. I've consulted it after frustrating days, during inspired intentional mornings like a game plan, and in conversations with Haki. I love the ideas, love the examples, and LOVE LOVE LOVE the cartoon strip summaries at the end of chapters. I've been "in" this book for months now and I intend to stay in it...for quite some time. 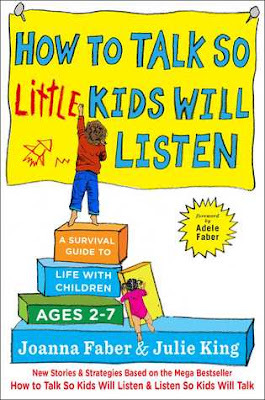 An excellent resource for parents who believe in the power of positive speech and respectful, empowering interactions with their children.